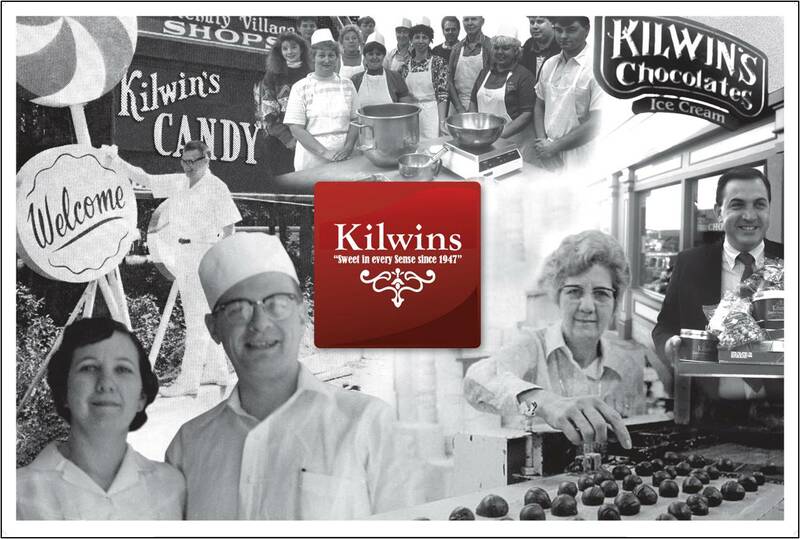 Located in downtown Morristown, NJ, there is always something cooking at Kilwins. Everyday we make our fudge, caramel apples and popcorn to perfection. Come watch us paddle our Mackinac Island Fudge the traditional way, on our marble table in the window. Watch as we dip fresh Granny Smith apples in our hand-crafted Caramel. Try a hand dipped pretzel, oreo or marshmallow. As you walk down the street, the aroma of freshly made fudge and waffle cones lures you inside. Once inside, your senses will be delighted. Whether you are sampling our 32 flavors of Original Recipe Ice Cream or tasting our 10 flavors of Fudge, there is something for everyone. Let us customize a basket or platter for that special someone. Planning a party or event? Let us create truly special flavors for your guests to take home. How about one of our Gourmet Cake and Ice Cream? Chocolate or vanilla cake surrounded by our Original Recipe Ice Cream is sure to be a crowd pleaser. There is something for everyone at Kilwins. Lookimg for fun, energetic individuals with a love for chocolate and great customer service. Download our application and email it back to morristown@kilwins.com.